Robert relaxing with a 21 year single malt, neat. Photo courtesy of Pacheco Photography. 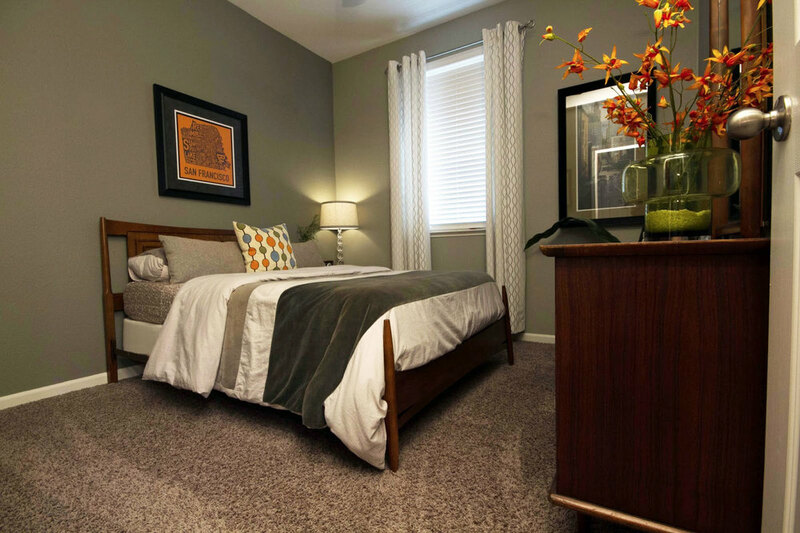 Robert Maurer is a professional graphic and interior designer living in Sacramento, CA. 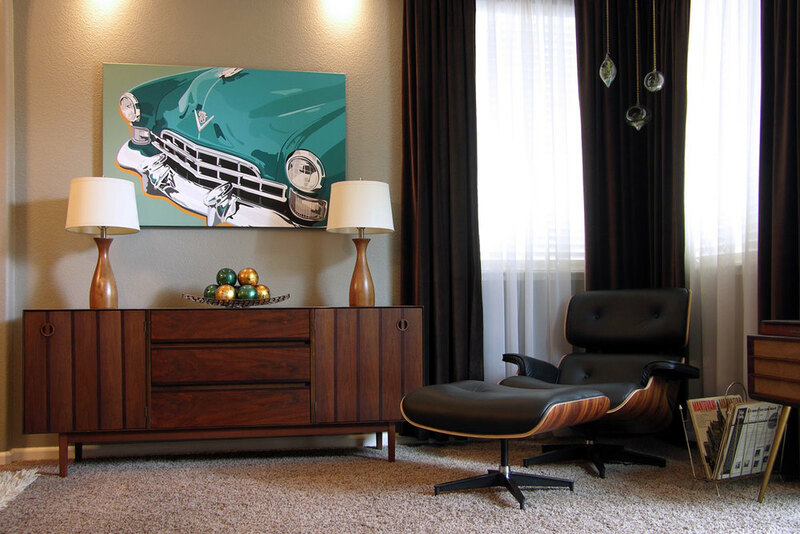 For the past 10 years he has been collecting and restoring mid-century furniture and curating a gorgeous home with a design-forward tasteful and timeless style. Our Tyler Sofa was the final piece (for now - things are always changing in a designer's home) to complete the vision he had for his living room ahead of a Mad Men party he was throwing for the premiere of its seventh and final season. The show-stopping sofa was done in a custom fabric chosen by Robert called Omega Doeskin -- a thick grey/beige weave with warm, reflective copper strands running throughout giving the piece a gorgeously subtle, lustrous shimmer. Photo courtesy of Pacheco Photography. Robert along with business partner, Glen Warren, operate a design business called Commuter Industries and handle everything including logos, branding, websites, event design, and interior design as well as general marketing strategy and consulting. In fact, they work closely with Casara Modern and handle all of our graphic design and website needs. More images of Robert's home are below. All images are courtesy of the talented Travis Pacheco of Pacheco Photography. 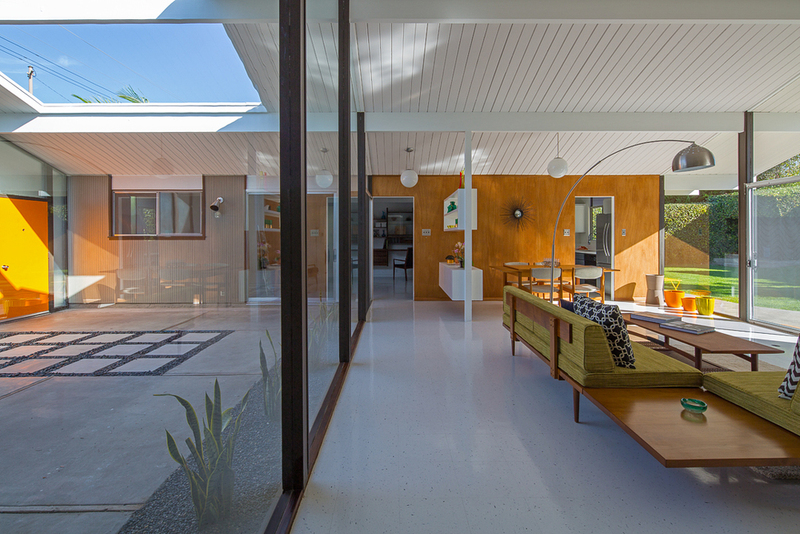 We recently had the wonderful opportunity to stage a newly and exquisitely restored Eichler home in Orange County, California. 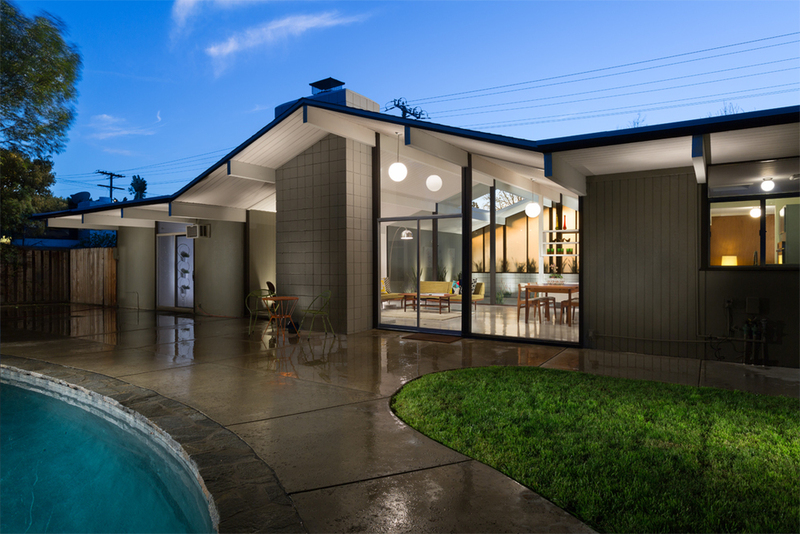 We worked closely with Mid-Mod Mogul, Kelly Laule of Eichler SoCal, who is responsible for updating and selling the home. The layout of the house is phenomenal with floor-to-ceiling glass walls running most of the span of the vaulted atrium. 4 bedrooms flank the left and right wings of the home. The home is currently entertaining an offer, but is still accepting backup offers. Call Kelly quick! A huge, open-air atrium patio welcomes everyone as they enter the home. The amount of natural light that floods this home is unreal. The central atrium livingroom features our Classic Daybed paired with our Classic Sectional. 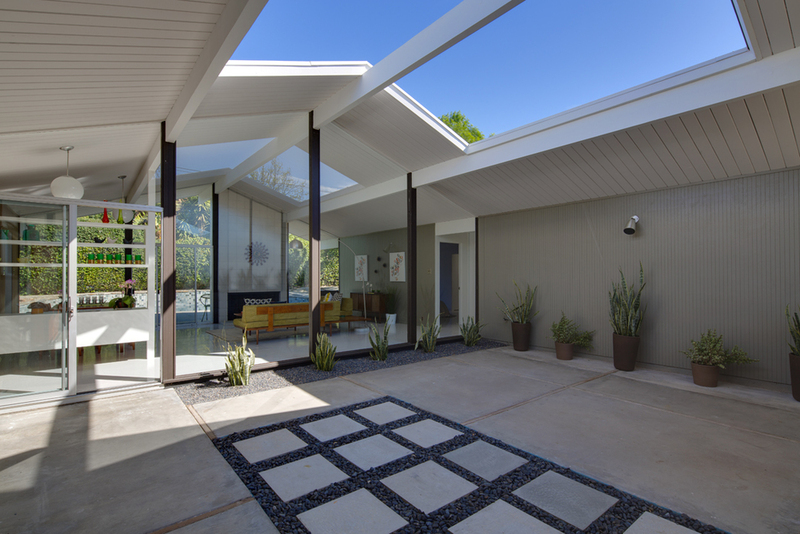 This home features the quintessential Eichler concept of a seamless merge of indoor / outdoor living. 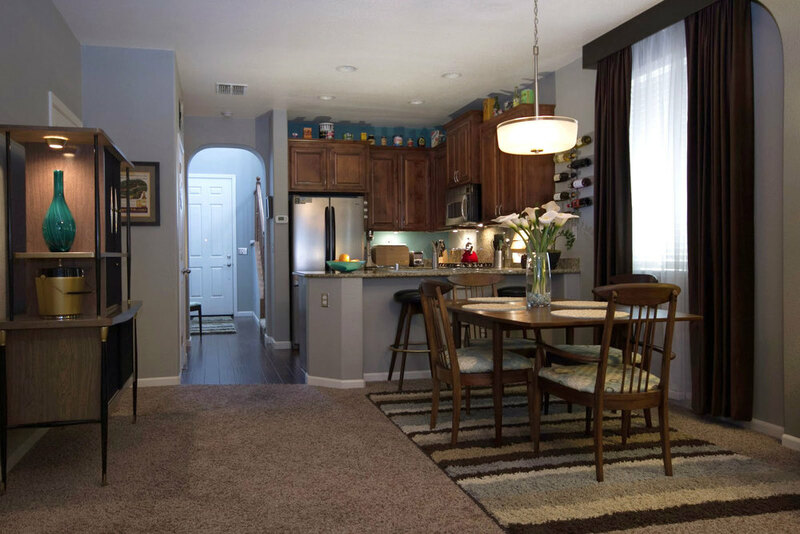 A well designed open floor plan lets the sleek lines and meticulous craftsmanship of our furniture really shine when the sofas are allowed to float in the center of the room and provide a grounded space for community and entertaining. This home features a lovely built-in, custom floating credenza and shelving unit at the entry way. Built-ins are a perfect solution for spaces that require something structural, functional, and custom-sized without the heavy price tag and pain of trying to find a perfect vintage piece. Eichler and his architects prove here once again that it can be done with class, taste, and minimal effort. Many of our vintage pieces populate and harmonize with the space including a cute, compact wall unit, two chairs, and a Modeline floorlamp sidetable. 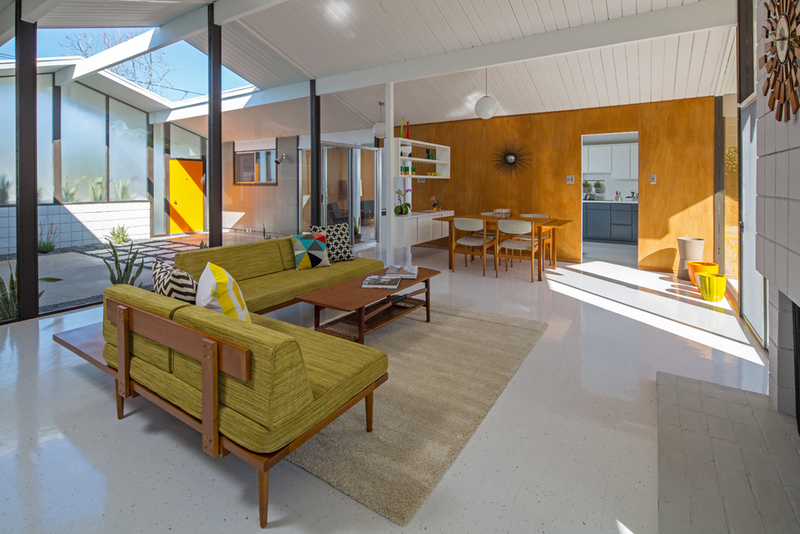 This home truly embodies all the trademark tenets of Eichler living and we are so proud to have been a part of showcasing it's standout, timeless, and fantastic design. We are excited to announce another brand new addition to our furniture line up, the Tyler Chair. This chair was created to pair handsomely with our Tyler Sofa. As always, our furniture is modular and meant to be mixed and matched, so pair this chair and sofa with our Side Table and Coffee Table and you've got an instant retro-chic living room. A seating arrangement like that will give you plenty of high-style seating fit for any occasion you can imagine from the most casual Netflix marathon to the most formal cocktail dinner party. At only $675, the Tyler Chair is priced as attractively as its styling.